So I can not take credit for this dessert, I got the recipe from my mother in law, who I believe got it off a Cool-Whip container.. or Jell-O box.. something like that. 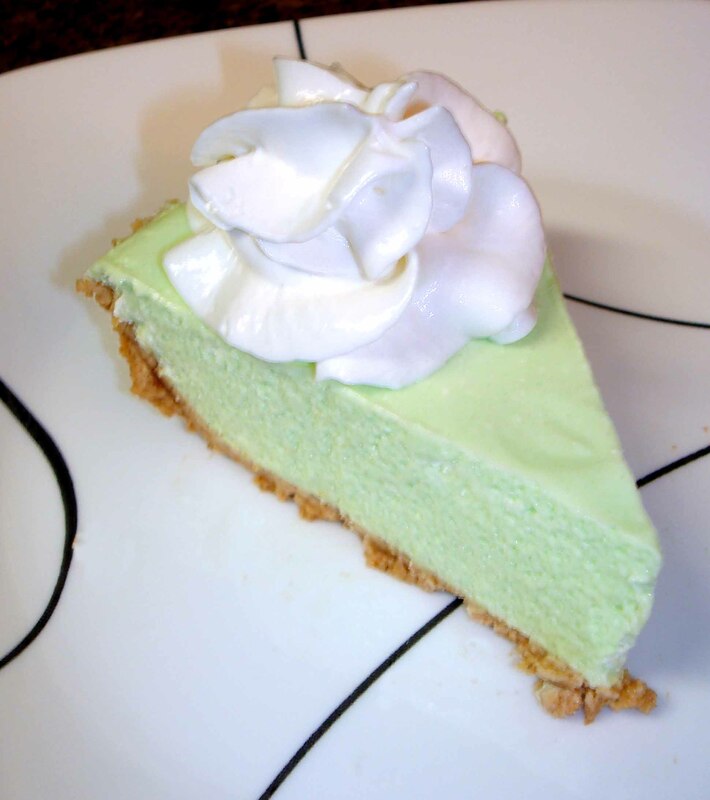 It’s called 5 Minute Key Lime Pie. It really does only take 5 minutes to put together and it’s D-Lish! 1. In microwave, heat water on high for 45 seconds to 1 1/2 minutes or until boiling. Whisk in gelatin until dissolved. 2. In large bowl whisk together gelatin mixture and yogurt. Fold in whipping topping. Carefully spread in crust. Refrigerate at least 4 hours or until set. 3. Garnish as desired. Store in refrigerator. I usually just add some more whipped topping or some graham crackers crumbled on top.